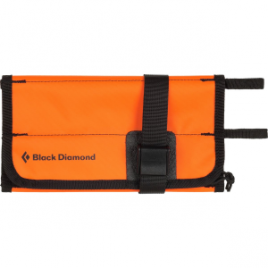 Black Diamond designed its Kids’ First Strike Trekking Pole primarily for trekking, but your young adventurer can also use it for ski sessions. 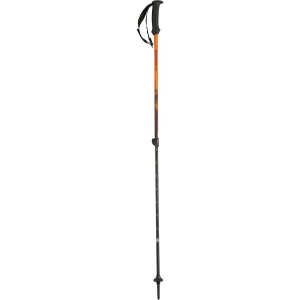 Its aluminum shaft makes the pole incredibly lightweight so your little trekker doesn’t feel weighed down near the end of the hike. The foam grip adds a bit of insulation to help warm your kid’s hand up in winter, and its 360 padded webbing strap makes each pole specific to his or her left and right hands. One FlickLock clamp adjusts the pole for easy transport and for steep uphill and downhill hikes, and the Tech Tips are interchangeable with rubber or carbide tips depending on the terrain your little traveler is exploring.